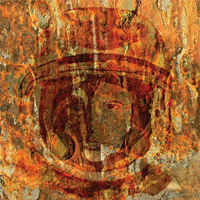 Aged to Perfection” is Swedens premier space rock combo DARXTAR’s seventh album and their first on the acclaimed Transubstans record label.DARXTAR originally begun as a one-man project in 1989 and have over the years become known as space rock-revival pioneers in the early 90’s (on albums such as Darker, Daybreak & Sju), pretentious concept album makers in the early 00’s (Tombola) and most recently as experimental psychedelic songwriters in 2005 with “We Came too Late”. In many ways “Aged to Perfection” picks up where “We Came too Late” left off with its focus on great tunes, but with the bands initial space rock fundament added to the package. The band always strives for full artistic freedom and have once again written, recorded, mixed and produced the album all by themselves. SKU: N/A. Categories: CD-Distribution, DISTRIBUTION, VINYL-Distribution, VINYL-RECORDS. Tags: Psychedelic Rock, Space rock, Transubstance Records.